I'm overwhelmed and beyond disheartened by the recent incident of animal cruelty that occurred in Stockton in which an M-80 explosive was strapped to a beautiful little dog and detonated. What has humanity sunk to? Shouldn't we have evolved to some degree by the 21st Century? I see no evidence of it when I read about things like this latest assault on someone's pet, and it's just one of many. Thankfully, the animal survived this appalling attack and is on the mend. I hope she will find a loving adoptive family that gives her the happy life she deserves. Here is some information from Red Rover (formerly United Animal Nations) about how to give a voice to the voiceless by reporting cases of animal cruelty to authorities who will, I hope, arrest and convict the perpetrators. Aside from the reward of helping an animal in need, you will receive a monetary reward for your efforts to protect animals from the REAL animals out there. Of course, I doubt they will get what's really coming to them for committing such a heartless act. A little prison time seems woefully inadequate for torturing a defenseless animal. Many times our courts do not see fit to severely punish the crime of animal cruelty. Even worse, many such criminals are never caught at all. RedRover wants to change that. In 1994, a Rottweiler mix Zig Zag was minding his own business in south-central Los Angeles when five young teens approached him, tied him up and tortured him mercilessly. Three of the perpetrators were caught and went to trial; one had a hung jury, another's juvenile sentence was not disclosed and the last was sentenced to three years in prison to run concurrently with a three-year robbery sentence. This case of injustice inspired RedRover to establish a Financial Incentive Reward program to focus community attention on animal cruelty crimes and encourage witnesses of animal cruelty to notify authorities. If an arrest and conviction is obtained, the informant will receive the reward, which can be up to $5,000. A brief description of the cruelty, including the date it occurred. A police contact or the detective working on the case with his/her telephone number. The county prosecutor's name, address and telephone number. A local media contact if you have one, especially if they have covered the story. If the abuser is arrested and convicted, we will pay the informant the amount posted for the Zig Zag Memorial Reward Fund (up to $5,000). WARNING!!! Beware of giving your dog chicken jerky treats, either strips or chunks. 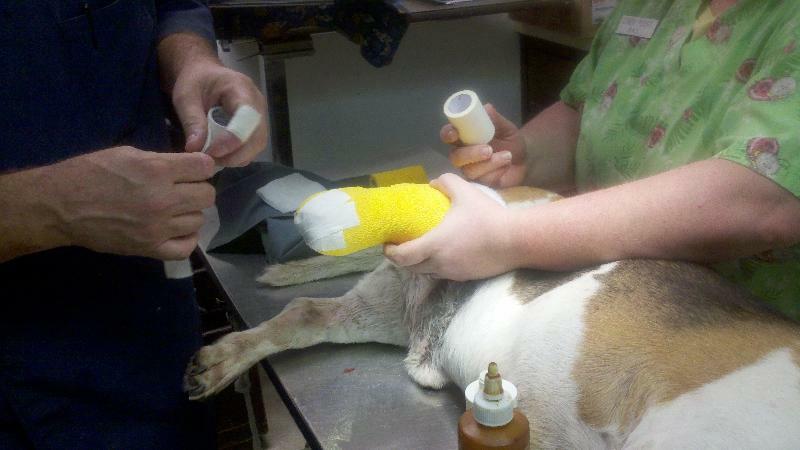 Nearly 1,000 dogs have been sickened by them since November. Avoid these brands: Waggin’ Train and Canyon Creek Ranch brands produced by Nestle Purina PetCare Co., and Milo’s Kitchen Home-style Dog Treats, produced by the Del Monte Corp. 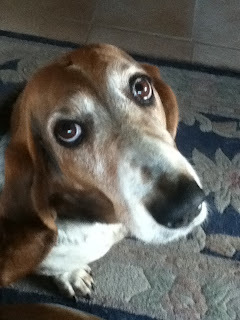 Note: At one time we were giving our previous bassets, Daisy and Bubba, Waggin' Train treats bought at Costco. After both dogs exhibited some signs of illness, we put two and two together and stopped buying the treats for them, before any damage was done to our dogs, fortunately. Nasty chicken from badly run, abusive poultry farms is making people and their dogs deathly ill. Why does this continue to occur in America? I guess a better question would be: What greedy corporation is profiting from poisoning us and our pets? I myself nearly died from salmonella and e. coli in the early 90s after eating cubes of cold rice in sushi that had been cut with a contaminated knife. The bacteria got into my lungs, causing bacterial pneumonia. I hope I am never that sick again and consider myself lucky to have survived. It wasn't pretty, was very painful, and it took me a year and a half to fully recuperate. The only good news was that I lost 25 pounds, but I looked like death. I missed so much work during the illness I was demoted at my job. All of which is a very good reason you won't ever again see me eating sushi. Raw fish is for seals or other fish! Don't keep these hell holes in business. Make adoption your first option. Do dogs notice a solar eclipse? Peaches and Beau seemed kind of wound up yesterday during the time of the eclipse, and since they are basset hounds and typically rather low-key (to a fault), I must conclude that this rare celestial marvel must have had some effect on them. Since animals react to other natural events such as earthquakes, why not an eclipse? 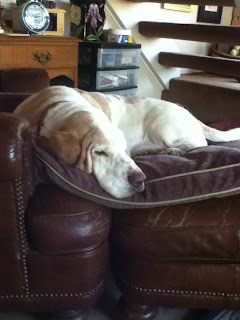 Did anyone else notice any change in their dog's behavior during the eclipse, I wonder? If so, I hope you'll leave a comment. If you need a good laugh (or a fright) these photos blow me away. Imagine if they did this with basset hounds! interest in giving him a permanent home! minus a foot and ankle. three good legs, and wagging his little tail like crazy! he walks or runs. Time will tell! and will live a happy ever after life! For those of you who may not know (I didn't), we are in our Sixth Extinction on Earth. This beautiful video is worth watching for anyone who loves this planet and the diverse species that inhabit it. 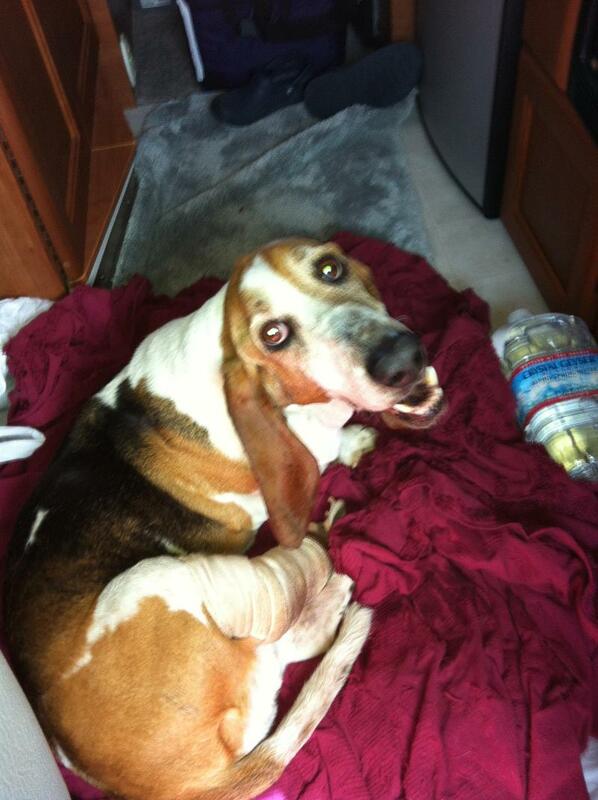 Older male basset hound needs a loving home to foster him while he heals from amputation surgery. 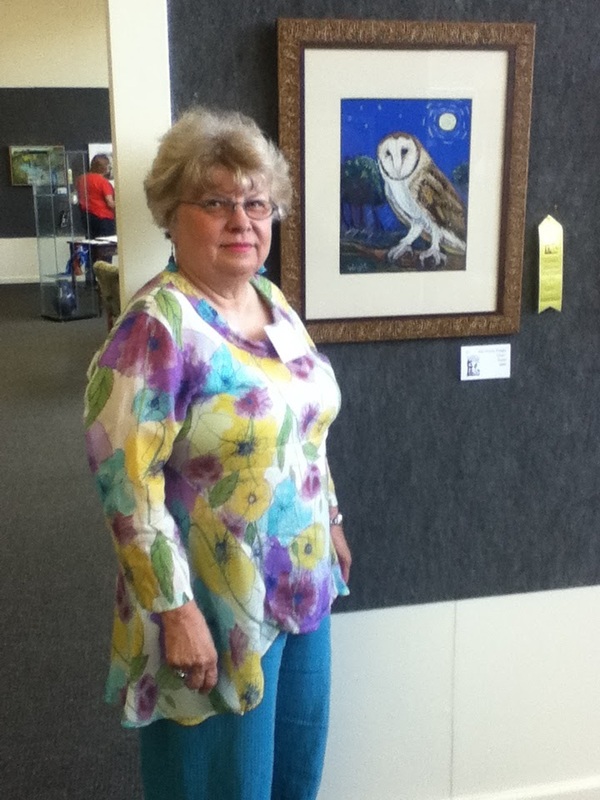 Sue and her pastel of Luna the barn owl. Last night was the Second Saturday artist's reception at the Sacramento Fine Arts Center. I am proud to be among those whose art was accepted in "Painting Where the Wild Things Are." This show features some wonderful art inspired by the American River Parkway and all the wild creatures whooo call this riparian habitat their home. All the art will be for sale at the upcoming Gala to benefit the Effie Yeaw Nature Center, where the event is held on June 9. I heard that the food and entertainment will be outstanding. Tickets are $40 each. The event is well worth the cost. I found out this morning that my artwork has been accepted in "Painting Where the Wild Things Are,"the 3rd Annual Art Show benefiting Effie Yeaw Nature Center on May 8-26, 2012. This delightful event is a themed open exhibit featuring images of the American River Parkway and the wild things that live there, and I'm honored to be included as an exhibitor in this show. I treasure our American River Parkway and feel fortunate to live so close to this incredible nature preserve amid a metropolis. I encourage you to attend and bid generously on the art. The parkway needs our support--and protection! I painted a pastel of "Luna," the beautiful barn owl that was the Effie Yeaw mascot for 14 years. Luna was rescued as a nestling, but her injuries prevented her from being released back into the wild. She lived at the center for the rest of her life as an animal teacher for visitors young and old. I met this amazing animal at last year's gala held at the nature area and was inspired to paint her portrait. Afterward, I found out that she died a few months later. The center has a new owl professor now, but Luna is not forgotten.